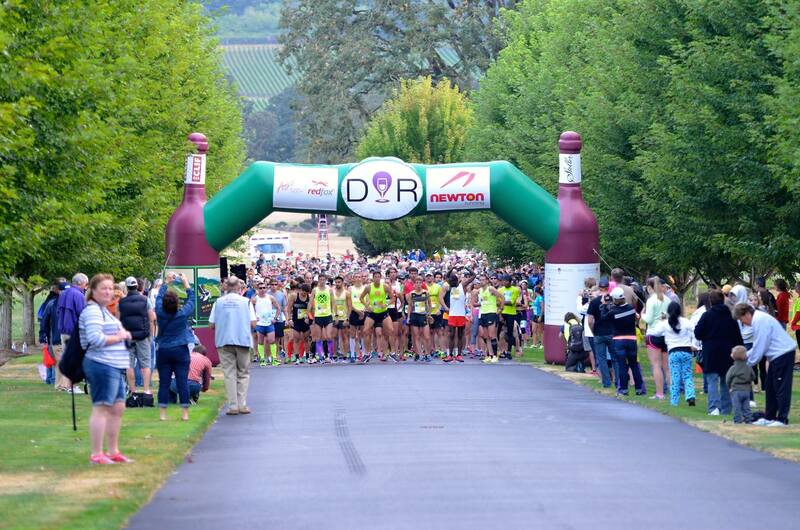 We encourage bringing your friends, family and running partners to spend time and enjoy this scenic area encompassing multiple wine appellations. The race has a limited-size field designed to offer our participants and their guests the finest destination experience possible. Ancillary events and other activities are planned for our guests before and after the race, and we encourage spending time in the area to take advantage of all the attractions the region has to offer. Yamhill County and its member businesses are excited to extend their finest hospitality to our guests during your stay. Once registered you should receive an email confirmation from the registration company (Active). Save this and bring to packet pickup. You’ll also receive periodic emails with important event information as the race date approaches. 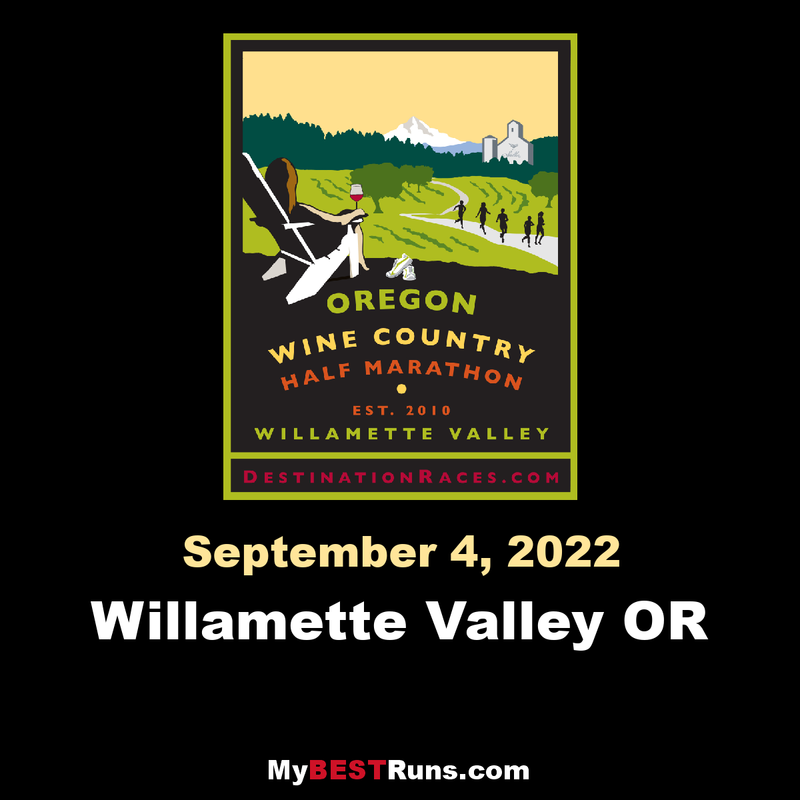 We are thrilled to welcome you to the Willamette Valley and the Oregon Wine County Half Marathon! It’s hard to imagine a more impressive start line and staging area than Stoller Vineyards and Winery. Your race begins just prior to the entrance gate to Stoller; you’ll turn right onto McDougall Road, followed by another right onto Stoller Road. The scenery here consists of vineyards and ranches with farm animals and you might as well enjoy it, you’ll be bunched fairly tight in the first two miles. This is the only town or residential area runners pass through until the finish. As you make your way up Duniway Road you’ll take a left on 14th St. at the top of the hill at the first aid station at mile 2. Then you’ll take a quick jog to the right on Grant Street at the bottom of the hill then follow 15th and 16th Street through the residential section of Lafayette to Bridge Street Once on Bridge Street take a right and this turns into Abbey Road. Once on Abbey Road the field should thin out and settle into a nice rhythm. Stay in the right lane once onto Abbey Road. This is a very serene, tree-lined section of the course as it winds past two bed & breakfast establishments and then passes the second aid station at Brookside Rd at mile 4. At mile 5 the course passes Our Lady of Guadalupe Trappist Abbey, a monastery for monks. Once past the monastery you’ll encounter a couple rolling hills with your biggest climb coming as you pass Abbey Road Farm at mile 6. Just beyond is the relay transition and spectator viewing area complete with aid station and porta-potties. From Abbey Road runners will take a left onto Hendricks Road towards Carlton. The next two miles are the straightest and easiest section of the course with an elevation decline of almost 100 feet. You’ll pass aid station #4 just after mile 7 at Intervale Road and then the Lemelson Winery Wine Station in front of Lemelson Winery, for a quick on-course wine tasting, just before mile 8. At mile 8 the course now stays left on Northeast Hendricks Road for newly re-routed section of the course. Just after mile 8.6 you’ll turn left onto NE Mineral Springs Road heading south. Water stop #5 will appear on your right in the driveway near the wheat silos. You will you bend to the right as you pass the mile 9 marker. This section offers beautiful views of the golden wheat fields and is quiet part of the course. You’ll merge with NE Bayliss Road as you head south past mile 10 as you approach the intersection of Jernstedt Road. After Mile 10 you’ll go about two-tenths of a mile and then take a right onto Jernstedt Road. There will be fruit orchard to your right and wheat field to your left. By now you’ll likely hear the music (take out your earphones!) as you encounter a small roller with 15 ft of gain. You’ve now entered the Party Zone as a water station followed by a band will appear to the right. After a brief stop in the party zone, you’ll crest this small hill and enter the gravel section of the course. You’ll then drop down 50 feet into a shaded section of the course before climbing back up the hill to a straight section on Jernstedt. Just after Mile 11 is the intersection of Old McMinnville Highway. Take a right and you’ll find water station #7 with water and GU Hydration. You’re at mile 11.7 where the course becomes paved road again. Off to left you can see downtown Carlton where the race finishes. After a jaunt down Old McMinnville Hwy you’ll be ready to make a left where Hendricks Road becomes Main Street as you approach the town of Carlton. Once in town you’ll pass 6th Street down past 1st Street as spectators will gather along the way to cheer you to the finish. Once you see the overhead stoplight in the center of town you are in the final stretch. Your 13.1-mile journey has come to an end. Now it’s time to replenish in the recovery tent and celebrate at the Wine & Music Festival!